The Logitech keyboard cases are substantially cheaper than Apple’s. The 11-inch Logitech Slim Folio Pro costs $119.99, and the 12.9-inch model costs $129.99, whereas Apple’s Smart Keyboard Folios cost $179 and $199 respectively. Logitech’s keyboards feature backlit keys with adjustable brightness, a row of media and other special function keys for doing things like going the iPad’s home screen, starting a Spotlight search, and displaying the iOS system keyboard, none of which you’ll find on a Smart Keyboard Folio. 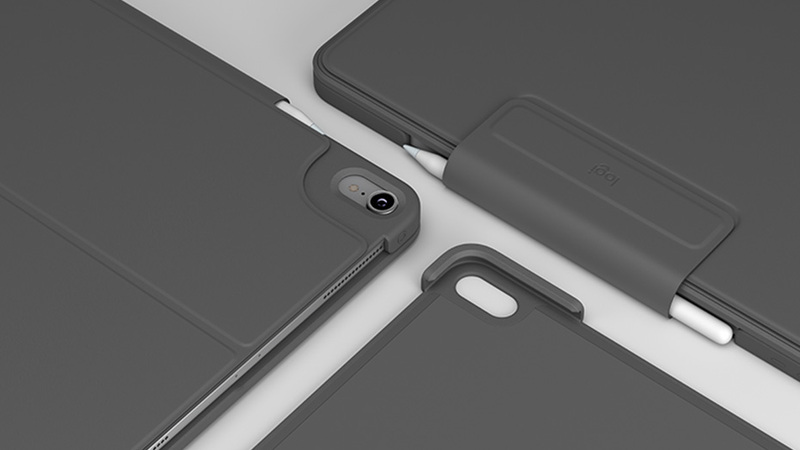 Logitech has also designed a magnetic clasp that includes a loop for the Apple Pencil that looks like it would do a better job of holding the Pencil in place. 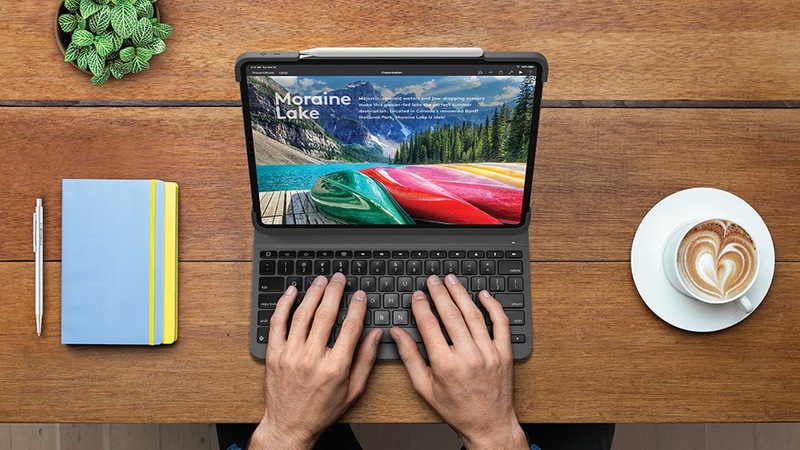 On the downside, the Slim Folio Pro keyboard needs to be separately charged via USB-C and connects to the iPad via Bluetooth; unlike Apple’s keyboard, which uses the Smart Connector. Also, the Slim Folio may look slim, but it weighs in at a hefty 552 grams for the 11-inch model and 707 grams for the 12.9-inch model. To put that into perspective, according to a 9to5Mac article reporting on measurements taken by Marco Arment, Apple’s Smart Keyboard Folios are 297 grams and 407 grams respectively. That puts Logitech’s offerings at nearly double the weight of Apple’s and means that a 12.9-inch iPad Pro with the Slim Folio Pro attached weighs more than a MacBook Air and only about 30 grams less than a 13-inch MacBook Pro. Also, unlike the forthcoming Brydge Pro keyboard, Logitech’s models, like Apple’s, have only two viewing angles. I’m glad to see Logitech and other companies working to provide alternatives to Apple’s iPad Pro keyboards. Backlit keys and a row of function keys are two things I would love to have in a keyboard case, but the weight and lack of Smart Connector support are two aspects of the Slim Folio Pro that make me skeptical that it would be a net improvement over the Smart Keyboard Folio I use currently.